Hand built Funko POP Heads for our group costume. 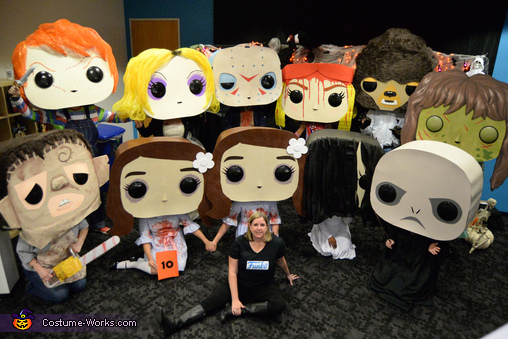 All heads were built by me and then we all crafted them to be our favorite horror characters. Amazing costume!!!! How in the world were you able to see? They came out great. What did you use to make the heads? Can you see out of them?